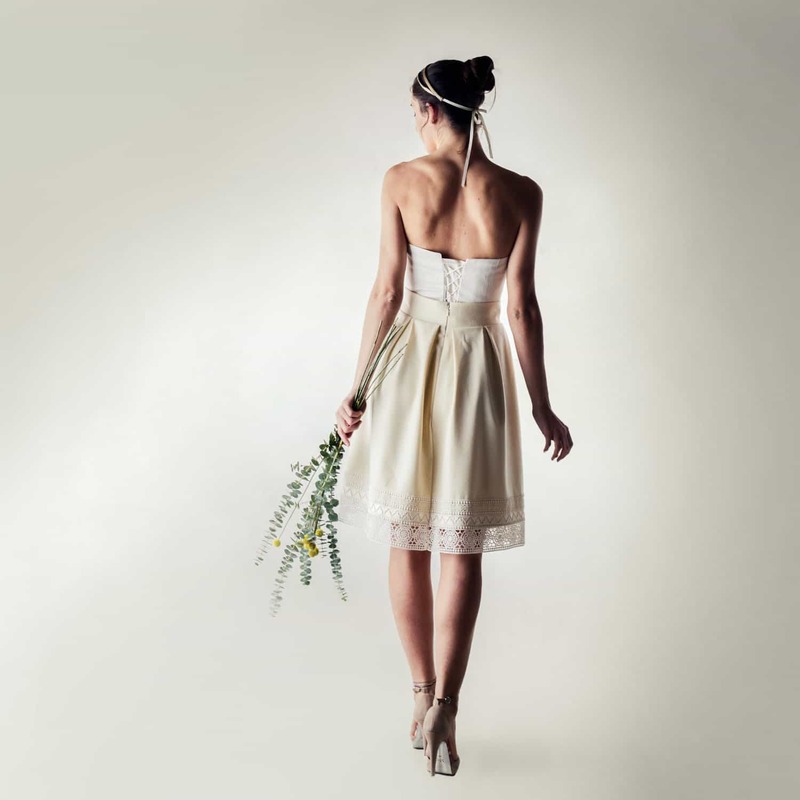 The Calendula is a lovely short winter wedding dress outfit and it is composed of a short, bell shaped fine wool skirt paired with a silk corset bustier. The short skirt is made with 100% Italian ivory wool, and it is fully lined with soft, smooth silk. It is accented along the bottom edge with a wide band of cotton macramé lace. 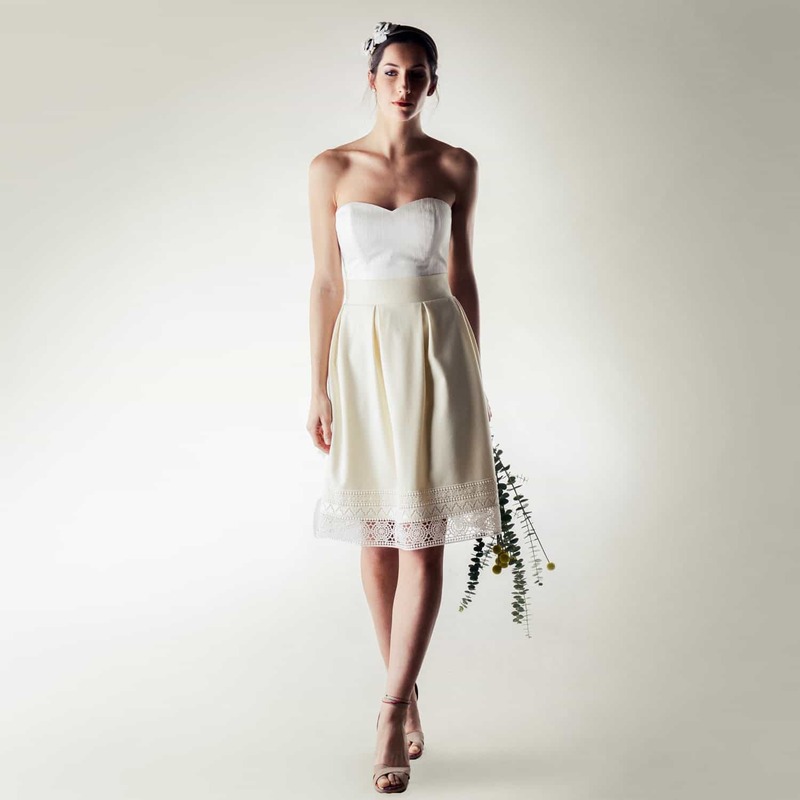 The see-through lace detail adds freshness and lightness to the design. 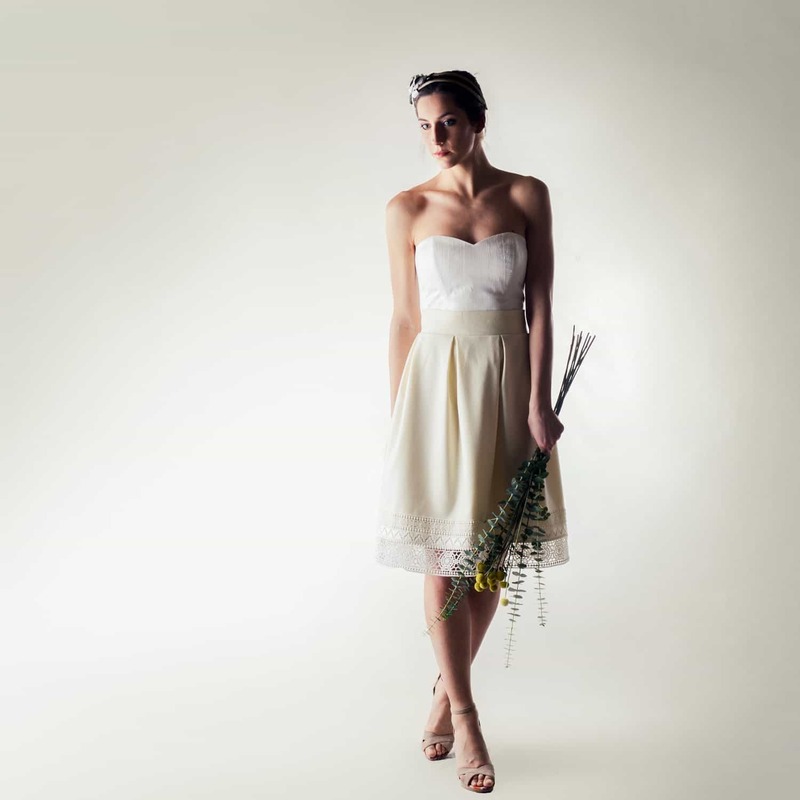 It zips up the center back and would look lovely paired with a sash like the Daisy. The skirt can be made shorter or longer, even tea or floor length, and it is paired with a smooth silk bustier, made in a textured woven silk in milky white that laces up the back with a neat little corset, adding detail and making for an easy fit. It is pictured in the strapless version, with a sweetheart neckline and fully boned, but I can add halter or spaghetti straps for you, or even cap sleeves. I could applique lace to the front if you wish as well. The listing is for the set pictured. The individual garments are available separately as well. The skirt is the Campanula wool skirt and the bustier is the Ilex.